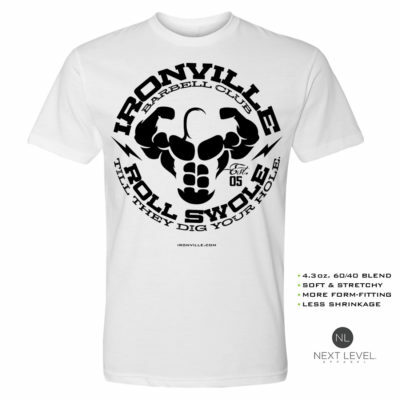 The second of it's kind for Ironville Clothing, this new powerlifting design is strictly for the outlaw lifters who break barriers and bend bars. 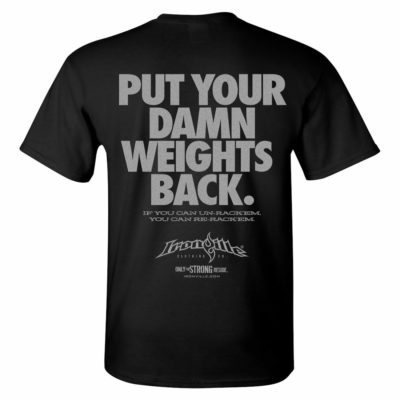 Lock and load one for yourself in a variety of available styles. 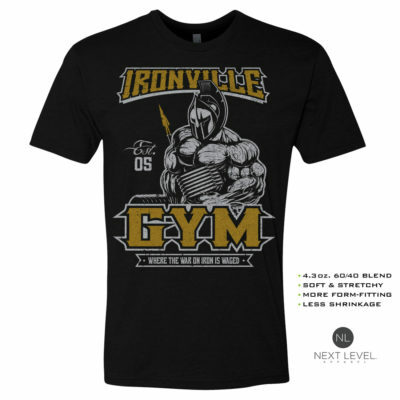 The design on this powerlifting sleeveless shirt is also available on several other garment styles. Shop around before you make any final decisions, there’s plenty to look at around here. Free shipping in the USA with no minimum purchase.